Bihar has decided to set up a road development authority to speed up construction of roads in a state where infrastructure is in pitiful shape. According to official sources, the idea of setting up the Bihar State Road Development Authority (BSRDA) was mooted during a meeting on road construction chaired by Chief Minister Nitish Kumar over the weekend. "The chief minister directed that BSRDA be set up to monitor the construction of roads across the state," an official said. Road Construction Minister Nand Kishor Yadav said: "Officials have been asked to constitute the BSRDA soon." BSRDA would be a small body comprising technical and management experts and would have independent financial and administrative powers. It would be entrusted with the power to acquire land for road construction. Bihar is notorious for poor road connectivity. Most of the existing roads and highways are believed to be in a bad condition. This is despite budget allocations that run into billions of rupees. Last year the Patna High Court rapped the government on its failure to improve the condition of roads. In January again, the court directed the government to start building roads at the earliest and submit a report by March. The slow pace of road construction in Bihar is also attributed to threats criminal gangs mete out to construction firms. Last week, two engineers of Narsingh Constructions were killed in Madhepura, 200 km from Patna, for not paying an extortion of Rs 10 million. A group of HIV-positive men and women in Bihar have embarked on a mission to create mass awareness about the deadly disease AIDS. Fighting their fate, the members of Bihar Network for People Living with HIV/AIDS Society have shed their initial inhibitions and have launched a programme against the disease, which has about 5.7 million victims in the country. "We have become victims of HIV/AIDS because we were ignorant. So, we are working among the people to create awareness about HIV/AIDS. There are poor people who do not know anything about AIDS," says Kailash Bhagat, a member of the society who discovered his HIV positive status around eight years ago. The organisation, which claims to have 1,600 members, also regularly distributes condoms to hawkers, beggars and destitute, particularly in poorer neighbourhoods of capital Patna. "We are distributing condoms because we don't want anyone else to become a victim of this disease," said Seema, the treasurer of the organization. Official figures say the virus has affected 1,078 people of the 83-million population of Bihar, though it is contested by health workers, who say the figures are highly under-reported. UNAIDS says Bihar is vulnerable to the disease due to poverty and large-scale migration from the state. Ten percent of the world's HIV-positive population is in India, according to the Global Fund to Fight AIDS, Tuberculosis and Malaria, a partnership that raises money to combat the deadliest global diseases. British exploration major Cairn Energy Search Ltd (CESL) is set to begin a survey in Bihar's Ganges basin for oil and natural gas Monday afternoon, the first such exploration in the state. The CESL and its sister concern, Cairn Energy Search India Ltd, which has been given a seven-year license, will begin the survey in the basin, which comprises 13 districts spread over 15,500 sq km. 'The much-awaited work for exploration would formally start with launching of an aero magnetic survey by Chief Minister Nitish Kumar,' Energy Minister Vijendra Prasad Yadav said Monday. A specially designed and high-tech airplane was hired from Canada Sunday for conducting the survey, sources in the state mines and geological department said. Official sources said the exploration project had got clearance from all central ministries, including defence, petroleum, civil aviation and atomic energy as well as the Geological Survey of India. According to independent estimates, reserves in the Ganges basin, known locally as Purina basin, could be as high as 465 million tonnes of crude and natural gas. Experts say the reserves can be tapped after drilling up to 4,400 metres. The government will get 10 percent royalty for every tonne extracted. The Edinburgh-based exploration firm had proposed the project three years ago but it got delayed due to various reasons. Here we are in 2007 , embarking in this New Year with great hope and conviction to take our country to new heights. We are talking about world being flat and information being power, we are talking about tele density and broadband penetration but alas we still come across horrific incidents where people are being killed for just being Bihari.By destiny they were born as Bihari and that become the cause of their gruesome killing. The recent gruesome of killing of Biharis in Assam by ULFA militants is yet another incident which shows the kind of bias which exits in our Country against Bihar and Biharis.So how do we react to this as a Bihari and citizens of this country? How do we express our anguish and pain when our fellow country men are being killed for being Bihari ? Following the great tradition of this great country we humbly submit our petition to all , please spare a moment for the cause of the bereaved soul and lodge your protest against this incident in strongest possible word. Let’s hope and pray that incidents like these are never repeated and also express our solidarity with the family members of the bereaved ones. I have started this petition drive to ensure that we raise our voice against this act of cowardice. I'll request you all to send this link to all your friends and relatives and request them to sign this petition, let's try and ensure that each Bihari put his protest against this heinous act. INVESTMENTs are making their way into Bihar after a long hiatus. While the Mahindra & Mahindra group is planning to set up a food processing plant in the state, Sonalika Tractors is all set to invest Rs 130 crore in a tractor plant. That’s not all. According to state officials, Max Healthcare chairman Analjit Singh is in talks with them to set up a multispecialty hospital. “We have approved allotment of land to Sonalika Tractors. Other two proposals being processed,” a senior Bihar government official told ET. M&M is planning to set up an agroprocessing plant for litchi in Bihar. The state boasts of 71% of India’s total litchi produce. For enabling private sector investment in the state, the Bihar government has already created a land bank. “The companies interested in investing in the state, may approach the land bank and according to their need, they may select any plot,” said the official. The state has also set up a revolving fund of Rs 200 crore for encouraging investments in the state. The government has already lined up 1,000 acres at Bihtaand and Hazipur and 200 acres in Begusarai. The state government has also introduced new Industrial Incentive Policy to woo companies. “The policy provides for 80% VAT exemption for 10 years. It also provides for exempting start ups from luxury tax for at least seven years,” the official said. It is understood that the state government is keen on Max’s proposal. “Good health care facilities are the need of hour for the state,” he said. According to recent All Indian Institute of Medical Sciences (AIIMS) estimates, about 70% of the population in Bihar often visit the hospital for treatment. The Bihar government has decided to bring a bill to set up a university in Nalanda, an ancient seat of learning. 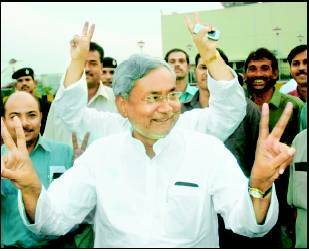 Chief Minister Nitish Kumar has said that his government would place the bill in the state assembly. "The government is ready with the draft. But it will act as a facilitator and not a coordinator," he said. The government has allotted funds for the project, land acquisition is on and construction is likely to begin soon, officials said.